At El Rancho Robles, the wedding you imagine comes to life. From the secluded facilities and breath-taking location to the historical surroundings, your dreams become reality. Discover all the possibilities: inspiring rooms and outdoor wedding venues for up to 500 guests, as well as romantic banquet dining facilities, including our smaller, intimate areas for parties of 20 to 100. 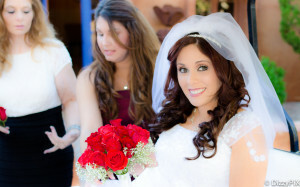 Weddings at El Rancho Robles are unique and beautiful. Enjoy the elegance and charm of the natural Southwest setting within driving distance from both Tucson and Phoenix. Wedding guests will appreciate the private use of the ranch including the gardens and gracious guest rooms. Accommodations for up to 80 guests makes this one of the only locations where your wedding can truly become a retreat. The Bride and Groom will appreciate the many photo opportunities available at El Rancho Robles, including acres of century old oak trees, stone bridges, and iron gates. El Rancho Robles is one of the few charming guest ranches from the turn of the century. Perfect for destination or local weddings, or the joyful events that surround them–bridal showers, rehearsal dinners, receptions, and departure brunches– call to schedule your property tour today!